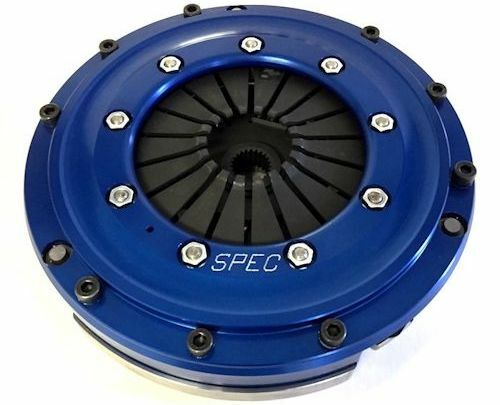 In 2014 Lindsey Racing introduced the SPEC MINI TWIN clutch for the 944 Turbo. We asked SPEC to develop this kit for a number of reasons and it's been performing as advertised. Offering the customer an extremely light weight twin disc clutch with incredible holding capability and a super fast shifting experience. One of the unique features of that clutch kit is that it eliminates the clutch fork, clutch slave cylinder and some of the hydraulic components. All or which can be either a failure point or a lack of availability issue. It utilizes a hydraulic clutch release bearing similar to what is the norm in today's modern automobiles. The mechanical clutch fork is fast becoming a thing of the past. We thought how nice it would be to be able to utilize this type of clutch release bearing on your typical existing 944 Turbo standard type single disc clutch kit. However, that would not be possible with current clutches because the fork system "PULLS" on the pressure plate diaphragm where it would be necessary to "PUSH" on the diaphragm. Unfortunately everything worked backwards or opposite of what it needed to be for that to happen. 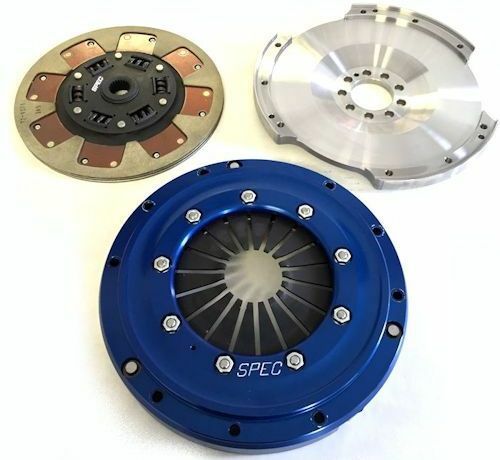 In 2015, Lindsey Racing approached SPEC about developing a new clutch kit for the 944 Turbo that will eliminate the need for the problematic and difficult to obtain clutch fork and unitize the "PUSH" components in the kit for all it's benefits. SPEC did just as we asked and here is the result of that development. 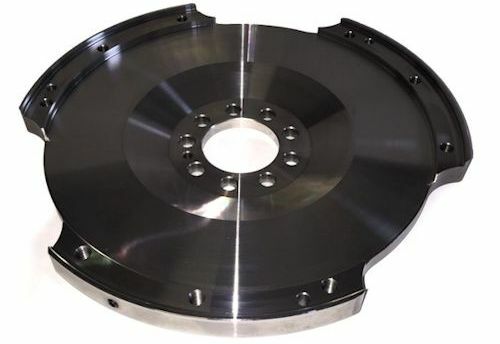 A brand new never done before completely unique "PUSH" type clutch kit for the 944 Turbo. This is going to change everything. The kit has an all new Aluminum Pressure Plate cover designed and built just for this new kit. It's also anodized blue for corrosion protection. 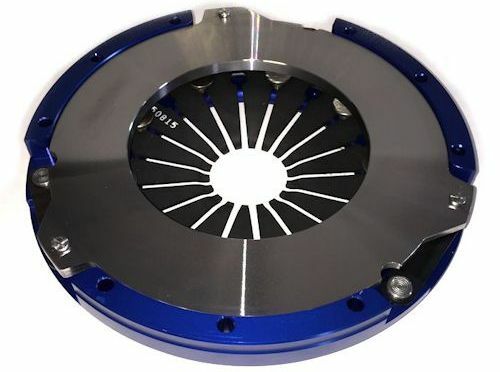 This clutch and flywheel combination saves 8 (+/- depending on the clutch stage/disc) pounds of rotating mass over a stock clutch. It also required an all new Billet Steel Flywheel to accommodate the new Pressure Plate. This flywheel looks very similar to the SPEC SP-44S we had them develop a few years back for the standard pull type (stock) 944 Turbo clutch kits. Yet because of the change in direction, the depth dimensions had to change. The only thing not new on this kit is the clutch discs. They use the same SPD-29X part number discs as the pull type kits. So this means you can get a Stage 1, 2, 3, 3 Hybrid, 3 Full Metallic, 4 and 5 kit to suit your application. Feel free to consult us for picking the best kit for your needs.